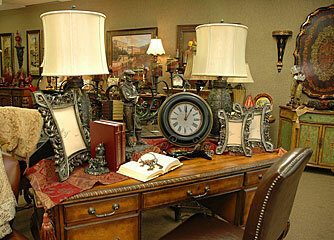 We offer a wide variety of products ranging from accent furniture to wonderful gifts for any occasion. At Pandamonium, our number one goal is to provide all of our customers with exceptional service. You will enjoy our small town atmosphere. In fact, you can walk in and have someone call out your name and ask how you’ve been. We pride ourselves on knowing our customers, and in many cases, become friends in the process. Even if it is your first time walking into our store, we will immediately make you feel at home. So please, come and see us, and find out for yourself what Pandamonium is all about. Located in historic downtown Grapevine, TX, we offer high quality products with small town charm. Our wonderful, friendly staff is available to assist you with all your home décor needs. Please stop by and let us help you bring a little Pandamonium into your home! Feel free to bring in a photo of the area in your home that you are trying to decorate. Our helpful and knowledgeable staff will help you select the perfect décor for that space. If you need extra help accessorizing your home, we also have designers that make house calls. Please stop by the store or give us a call for more information.